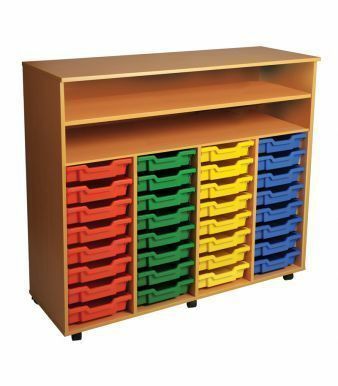 Ideal for use within art and creation spaces this four compartments mobile storage unit is supplied with Gratnell polypropylene trays in a choice of colours in the lower section and shelves to the upper section. 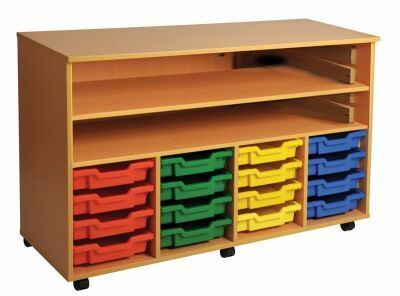 Constructed from 18mm thick MDF. The carcass is available in three finishes: Oak, Beech and Maple. Supplied assembled and ready to use. Free delivery to mainland UK. 15 - 20 day lead time.